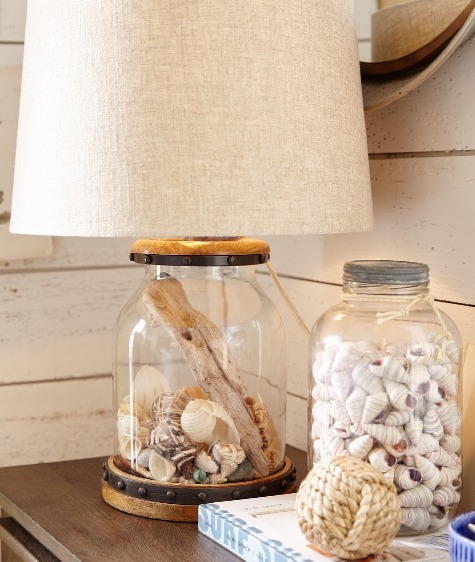 Showcase your sea treasures and other small objects in a fillable glass table lamp. 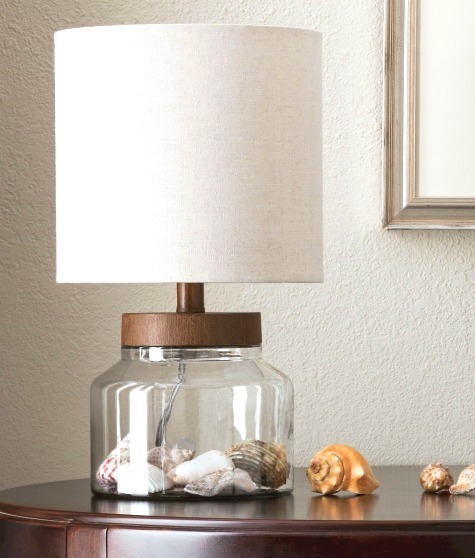 You can customize these beautiful lamps with items that are meaningful to you. 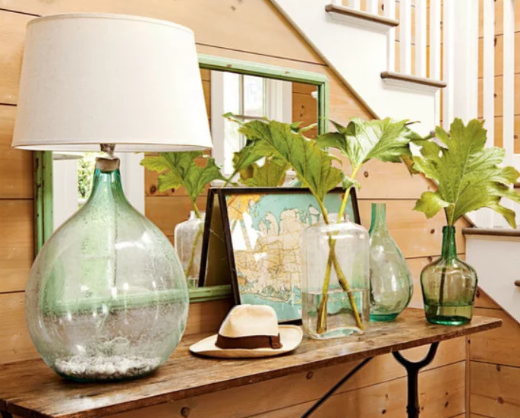 Fillable glass lamps come in all kinds of styles and sizes. 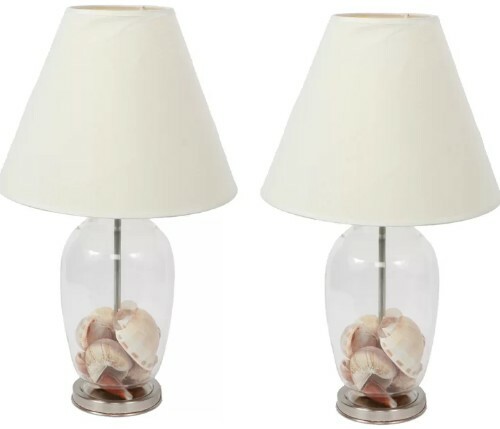 I'm sure you'll find one that's just right for you. 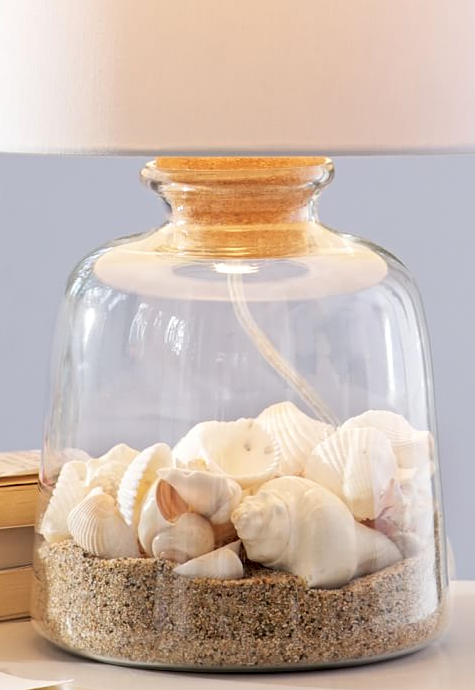 Fill your glass lamp with seashells, sea glass, beach pebbles, small driftwood sticks, or layers of sand from different beaches! 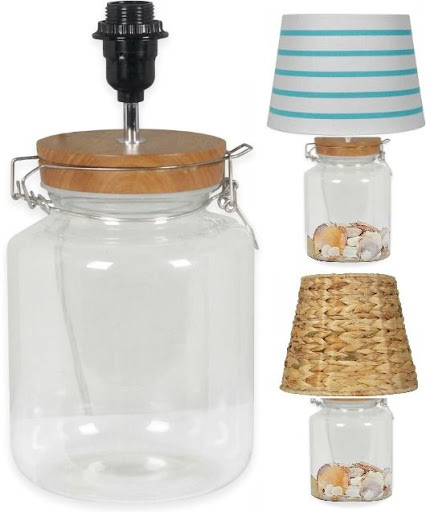 You can see examples here, here, and here. 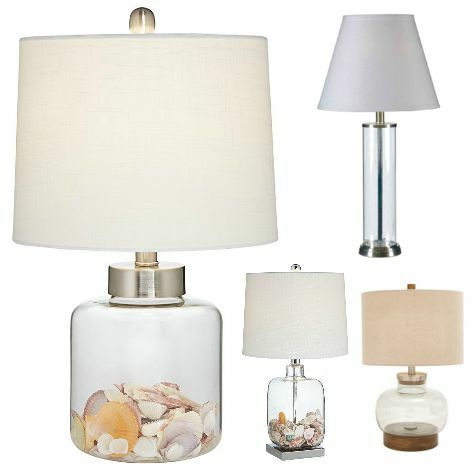 Let your personal style shine! 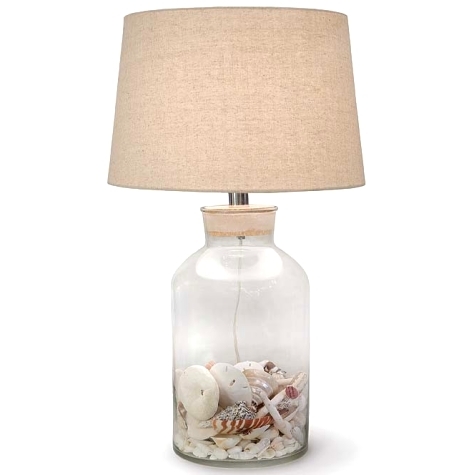 Fillable Demijohn Style Bottle table lamp seen at Coastal Living.